Gary Klein has worked with businesses and consumers throughout his career to deliver intelligent and customized real estate finance solutions. Working with Signet Bank, Gary was active in the commercial and residential real estate markets in Virginia, originating debt financing on numerous development and construction projects in Virginia and Florida. While working in Richmond, Gary was appointed by Governor James Gilmore 1i 1998 and confirmed by the Virginia legislature as a Commissioner of the Virginia Housing Development Authority. In the last two years of his four-year term with the Authority, Gary served as the Operations Committee Chairman. After a brief stint in Jacksonville, Florida with Wachovia Bank, Gary moved to West Palm Beach. 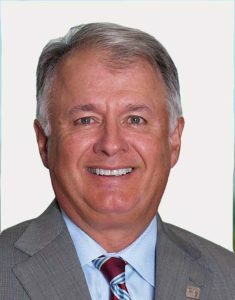 As the Wachovia Palm Beach Regional President, Gary became very active in community-based activities, serving as Chairman of the South Florida Science Museum Board and maintaining board memberships on the Boca Raton Chamber of Commerce, Palm Beaches Chamber of Commerce, Palm Beach Business Development Board and Junior Achievement of Palm Beach. Most recently, Gary is serving as President of Bear Lakes Country Club. Gary Klein has been involved in the financial services industry for more than 40 years. He worked for Wachovia for 25 years with his final assignment there as the President of the Palm Beach County operations. Prior to that assignment, Gary was the Community Banking Executive for Florida, Business Banking Executive for Florida and Business Banking Executive for First Union Bank over the Mid-Atlantic States Region. Since retiring from banking, Gary has been involved in originating private real estate debt; association ledning; and as a licensed loan originator with East Mortgage Lenders, Inc.